Compare to August 29, 2016. Great job Stephanie! Thanks for judging. Just checking in on how everybody has done so far today and my heart rate went up 50% thinking about it. And I need to poop now. Great job 9:30 crew! Awesome job Mere..i wasn’t about to let u drop that bar or chalk up..proud of ya girl! definitely not my best today but I gutted it out and finished!! Not every step in life is forward 🙂 See you next year, Fran. Off PR by :04 from almost 7 years ago (12/27/2010) but I really thought I might never break 5 again. Thanks for the push Breck! Thanks Max and Chad for the push. The set of 15’s blow!! 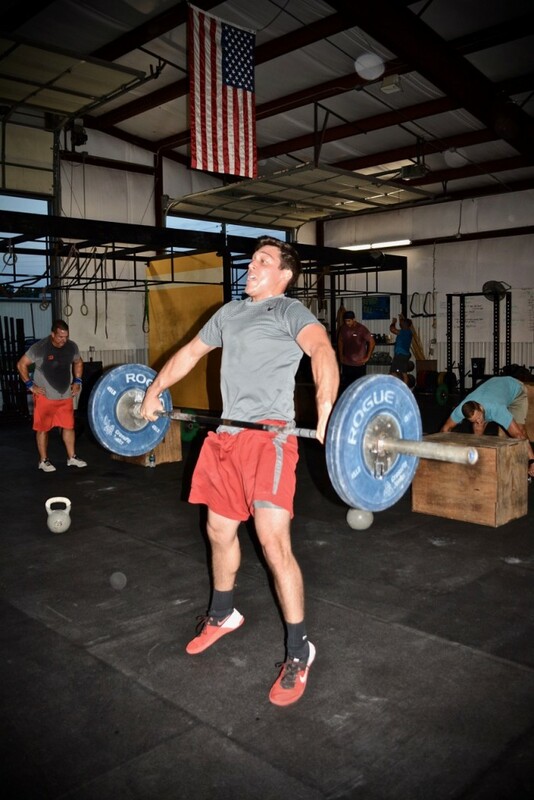 PR of 4:23 from this frustrating time of 9:16 last year with banded pull ups. First time completed as prescribed. Broke my grips and got a bad attitude. I love this workout though….until next time,Fran! Did it 8/29/17 but posted here to reference in future. 7:23 First time doing it.